Marisa Delzio Emily BREWSTER—No question about it – the Brewster High girls basketball team was hoping for a second consecutive trip to the Westchester County Center. 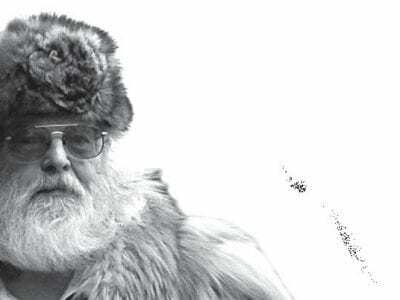 But a surging Peekskill squad derailed the Bears’ playoff hopes, send… Please login below or purchase a subscription to the Putnam County Courier to access this content. 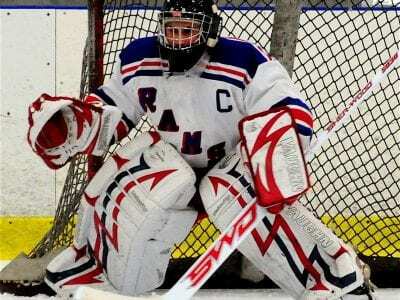 Marc Glaviano CARMEL—Before the season began, the Carmel High ice hockey team was a little worried that with the new league alignments, the Rams might not make it back to the sectional playoffs. But thanks to some outstanding goaltending, th… Please login below or purchase a subscription to the Putnam County Courier to access this content. Brendan Schmelmer PUTNAM VALLEY—The Putnam Valley high boys basketball team had a season of firsts. The Tigers won the fist tournament of any sort by grabbing the Solomon Schechter Tournament, and PV got its first win in the annual Putnam Cha… Please login below or purchase a subscription to the Putnam County Courier to access this content. Front row, L to R: Charlie Carr, John Carr, Dan LePere, Max Delin Back, L to R:Alex Delin, Donny McLoughlin, Matt Kaufman, Mike Quinn Not Pictured: Niki Tchobanov BREWSTER—Despite a 2-4 record in dual meets, the Brewster High boys swim team is … Please login below or purchase a subscription to the Putnam County Courier to access this content. It is always an uphill battle, another mountain to climb: The words of the Miley Cyrus record are fitting for me today, along with writing this column early this Monday morning to try to keep my boat afloat. Saturday’s northeaster with … Please login below or purchase a subscription to the Putnam County Courier to access this content. 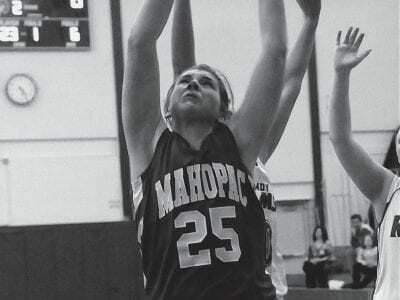 Brittany Craig The Mahopac High School girls basketball team stumbled to an 0-18 record this season. However, there were some good things that came out of it that should help the Indians improve next season, according to coach Jerry Fioretti. Maho… Please login below or purchase a subscription to the Putnam County Courier to access this content. Over the weekend of March 5-7, the girls traveled to Potsdam, NY to compete against the top tier II teams from across the state. Representing Putnam County on the Lady Bulldogs are Captains, Kimberly Harker and Carly Weigold of Mahopac and Katie … Please login below or purchase a subscription to the Putnam County Courier to access this content. BETHPAGE––MSG Varsity’s School Spirit Mania championship has now entered the second round, leaving 32 high schools from the tri-state area in contention to be named champion. School Spirit Mania is an opportunity for students to di… Please login below or purchase a subscription to the Putnam County Courier to access this content.